Ultimate Sports is located in the heart of downtown Banff. Our rental fleet is fully updated every season with everything to accommodate skiers and riders that are exploring the mountains for the first time, or exploring the steepest and deepest riding Banff has to offer. Our team of friendly locals are all keen riders themselves and can help answer questions about gear from their own experience. 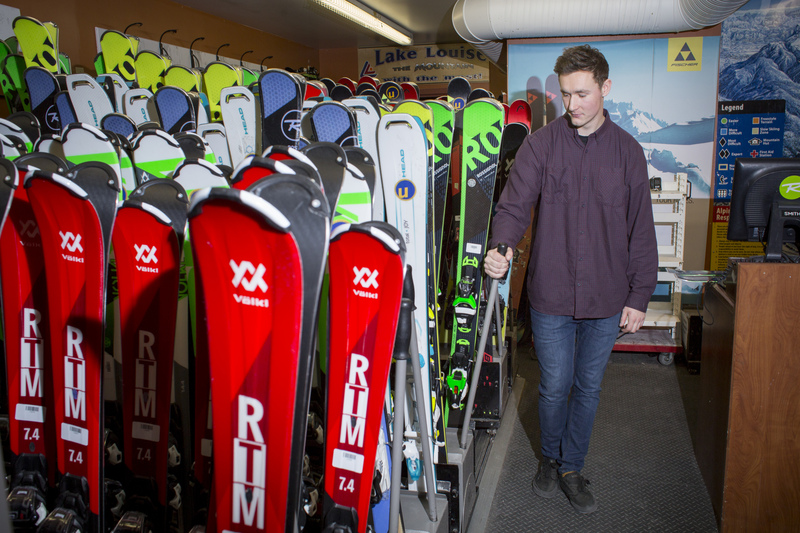 The Ultimate rental fleet is over 1200 skis and snowboards, so there’s something for everyone! If you want to save time in store on your holiday, fill out our online rental form to get started and reserve the equipment you want for one or the whole family. Our technicians also deliver and pickup rentals from all major Banff Hotels to make your vacation run as smoothly as possible, keeping your holiday more about enjoying the Rocky Mountains, not standing in line. Come say hello we'd love to help. Thanks guys for a great all round service. Friendly knowledgeable staff and fast and efficient measuring and fitting. Heads up to Sam and Jared for all their help. Loved the delivery and collection service to our hotel. Amazing customer service! I highly recommend Tom for that extra service a attention to detail to avoid those painful ski boots on the ski hill.